Ericp is a freelance article writer, who likes to read and write about current affairs, essays and other related stuffs. Reach out to him through the contact page. 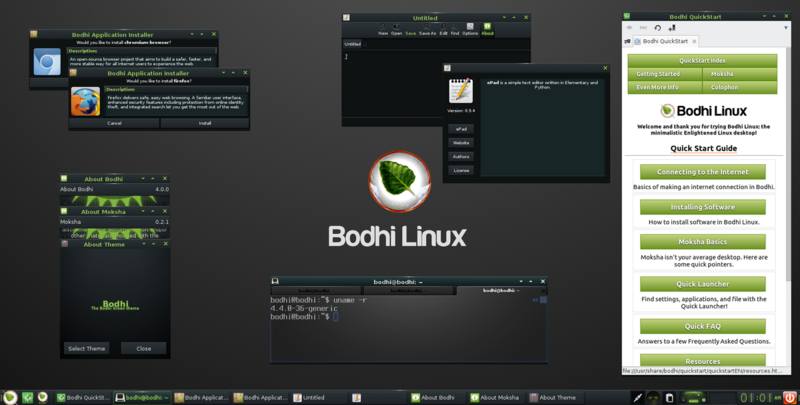 [Answered] How to find IP address on Bodhi Linux? Bodhi Linux is super easy to use, but does require a little knowledge of the command line interface (CLI). A lot of simple tasks are far easier to complete in this area rather than the Graphical User Interface that most users stick to. The easy way to find your IP address on Bodhi is with ifconfig or ip command. The manual process of finding your internal IP address would be as follows. You will see your IP address. Alternatively, if you're a real n00b you could just Google "what is my IP address" in a browser. 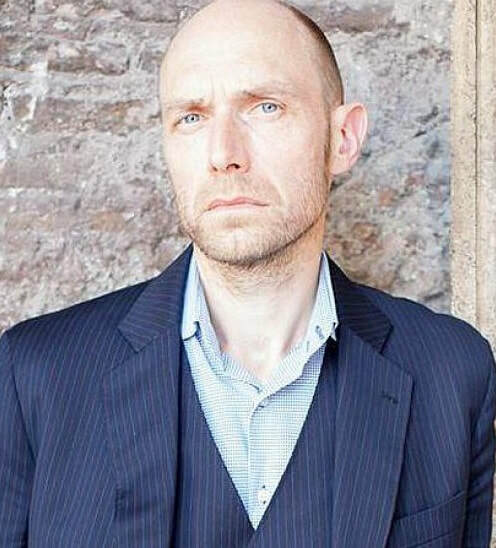 Landed your first TV pitch? Bravo! Celebrate later, your work has just begun. After selling scripts to a major Hollywood studio, I began getting pitch invitations from television programs. Based in New Jersey required flying out to Los Angeles, California each time I got a meeting. It also meant time and money. I flew to Hollywood for several in person meetings, however many pitch sessions were conducted by telephone. Even writers I know based in LA phone pitch. It's quicker for all involved and easier depending on experience level. Any business meeting whatever the industry can be stressful. 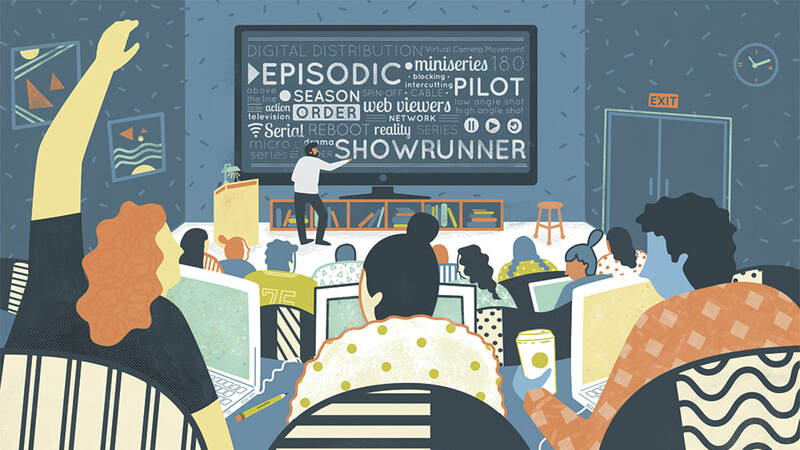 New writers may want to take phone pitches first to get their feet wet, then move on to being seated across the desk from a powerful TV show boss who makes more money for one episode than most Americans make in a year. This requires talent, dedication and story instincts that landed you a pitch in the first place. My specific advice regarding number of stories would be no less than three and really no more than seven or eight. There is no standardized format or strict rules dictating how many stories you can pitch. Usually you have an hour, perhaps two and in that time you pitch until your time runs out. However with too few ideas, you'll end up leaving before time runs out, so more is definitely better. Still, mix it up with 2 or 3 small ideas - ones you may have not fully developed but still are clear in your mind - with 2 or 3 more detailed stories. Producers have lit up after me just giving a sentence, while those ideas I fully fleshed out didn't get a murmur. Bottom line: Be prepared with enough stories to fill your time, but make it interesting by creating a mixture of story tone, type and even length. For example a Dead Zone idea I pitched was merely: Johnny loses his psychic powers after having a nightmare. Immediately, all the producers started mulling it over and pitching back to me. It was a kind of spontaneous brainstorm session, which was fun and couldn't be anticipated. On a phone call, you won't have body language or eye contact for an extra advantage. You'll rely on voice and notes. Index cards are great for listing all major story points and can be quickly sorted around for your next pitch. Reading off a PC screen with electronic notes can be fine too, but we all know computers love to crash on when we need they most. I'd stick with a notebook or index cards just to play it safe. You should know your stories pretty well by now also, so notes should supplement not be your bible. Before you take that big call, be sure to use a good telephone. Don't use a cell phone. If that's your only phone, you may have no choice as many are using mobile exclusively now, however if possible use a secure land line. A call drop during your most exciting pitch isn't the way to make the sale or impress a show's production staff. I'd use nothing but a real corded phone. They tend to be most reliable and comfortable and most models now can be fitted with a headset for maximum ease and freedom of movement. A production assistant will usually call first either to alert you to the producer running late - that's happened to me a few times - or to say they have the producer on the other line awaiting your pitch session. Above all try your best to be relaxed and natural. It's not the most natural type of call of course, but pretend it's just you telling a few stories to a buddy. In the end, that's all it really is - storytelling - since you're a writer you can definitely manage it after practice. The notion that women in the workplace can't get along is a ridiculous one. Women make the best of friends for each other, so why shouldn't they be able to work side by side? At least, that's what I tell myself. I must admit sometimes I wonder when my female coworker ignores my wit and guffaws when the male workers belch. Or how whenever I engage in conversation with one of the guys she finds some way to interrupt and draw attention back to herself. Perhaps it is instinctual - there are more women than men in the earth and that may trigger some uncontrollable urge to keep men within a controllable range. But to admit to the presence of a territorial bending would be to admit there is truth to the notion, and I simply won't do that. Still, I have tried being friends, I think. Once I offered to teach her how to use spellcheck. I thought it was a reasonable thing to do after reading one of her hideous email replies to a client. She misunderstood and I soon found myself in my supervisor's office on groundless charges of belittling my coworkers. I lay low after that, saying very little in her presence, wary of any further misunderstandings. Once again, I found myself in the presence of my supervisor. This time the offense was that I was unpleasant and unamicable and unchatty and produced a hostile work environment. I promised to behave and forced myself to make light conversation - focused entirely on the weather (little offense can be found there, I think). I can say with certainty that she responded with a great effort of her own. She once asked my opinion on a purse she wanted to buy. I've had the same navy blue purse for five years now, and I honestly didn't know what to say. What makes a $1500 Gucci better than my $30 coach? As much as I love solving mysteries, this one promised nothing of value at its conclusion. So I moved on. Needless to say, our days are spent with volumes of silence, half-told jokes and rolling eyes. I am willing to concede that though women can get along, perhaps it was not meant to be for us. As a former newspaper writer currently seeking my degree in secondary education, I've narrowed in on topics relating to high school journalism. I learned much about this topic as a high school journalist and in classes for my BA in journalism, but want to take a new look at the topic through the lens of an administrator or teacher. Through searches on Google Scholar and Ebsco for "high school journalism," or "high school media," I uncovered a plethora of topics both interesting to me and hopefully broad enough to have some current research, but narrow enough to make a suitable topic. Five of these topics I am considering include: how can high schools better approach media coverage that creates eating disorders and general low self esteem in teenagers; how does media, in all forms including web social tools, impact learning in classrooms; how do newspaper advisors tackle censorship in high school publications; what new media publications are high schools developing; is the high school newspaper dieing, in lines with newspapers at large; the uses of newspapers in the classroom as both an educational tool and as a means of increasing newspaper readership amongst a younger generation. How do newspaper advisers tackle censorship in high school publications? A good high school media advisor cherishes the foundations of media, freedom and the role of media as a watch dog. Any study I have done on the topic were from the viewpoint of a high school journalist, in favor of limited censorship, or as a college student also biased to lifting limitations. Before embarking in a career path as a newspaper adviser, I want to explore the reasons why censorship is sometimes good, with an open mind to my previous biases. I found an article about the repercussions an adviser felt who allowed her students to publish an article about homosexuality on Lexis Nexis to come up with this subject. I found several other articles about censorship case studies. The interview in an upcoming paper should be especially enlightening to this topic. I am really interested in learning about how advisors toe the line between defending parent wishes and administrator fears between their students' freedom of speech. I brainstormed several other questions following Ballenger's lead. Do certain United States locations experience more or less censorship in their schools? What is the history of censorship in high schools? What are the laws relating to high school media and the rights of high school journalists? The next topic I explored was high school educational response to media stereotypes. Again, as a student, I encountered the subject in several classes, but am wondering why administrators and teachers do not develop more lesson plans and educational opportunities to educate students about how to be intelligent media consumers. For instance, a lesson about how magazines take real woman and "Photoshop" their images into an impossible ideal. This subject seems more difficult to research in traditional educational databases, but I did find a few articles that would be helpful on Ebsco. A Google scholarly search led me to an article about mass media and girls' weight concerns. Several articles on those lines exist, but I would need to find more to back up educators' response. Other questions I thought of: What is the impact on high school boys? Do high school publications also enforce negative images and stereotypes? How can high school students become better media consumers? Through searches on Google Scholar and Ebsco for "high school journalism," or "high school media," I uncovered a plethora of topics both interesting to me and hopefully broad enough to have some current research, but narrow enough to make a suitable topic. Five of these topics I am considering include: how can high schools better approach media coverage that creates eating disorders and general low self esteem in teenagers; how does media, in all forms including web social tools, impact learning in classrooms; how do newspaper advisors tackle censorship in high school publications; what new media publications are high schools developing; is the high school newspaper dieing, in lines with newspapers at large; the uses of newspapers in the classroom as both an educational tool and as a means of increasing newspaper readership amongst a younger generation. How do newspaper advisors tackle censorship in high school publications? A good high school media advisor cherishes the foundations of media, freedom and the role of media as a watch dog. Any study I have done on the topic were from the viewpoint of a high school journalist, in favor of limited censorship, or as a college student also biased to lifting limitations. Before embarking in a career path as a newspaper advisor, I want to explore the reasons why censorship is sometimes good, with an open mind to my previous biases. I found an article about the repercussions an advisor felt who allowed her students to publish an article about homosexuality on Lexis Nexis to come up with this subject. I found several other articles about censorship case studies. The interview in an upcoming paper should be especially enlightening to this topic. I am really interested in learning about how advisors toe the line between defending parent wishes and administrator fears between their students' freedom of speech. I brainstormed several other questions following Ballenger's lead. Do certain United States locations experience more or less censorship in their schools? What is the history of censorship in high schools? What are the laws relating to high school media and the rights of high school journalists? The next topic I explored was high school educational response to media stereotypes. Again, as a student, I encountered the subject in several classes, but am wondering why administrators and teachers do not develop more lesson plans and educational opportunities to educate students about how to be intelligent media consumers. For instance, a lesson about how magazines take real woman and "Photoshop" their images into an impossible ideal. This subject seems more difficult to research in traditional educational databases, but I did find a few articles that would be helpful on Ebsco. A Google scholarly search led me to an article about mass media and girls' weight concerns. Several articles on those lines exist, but I would need to find more to back up educators' response. Other questions I thought of: What is the impact on high school boys? Do high school publications also enforce negative images and stereotypes? 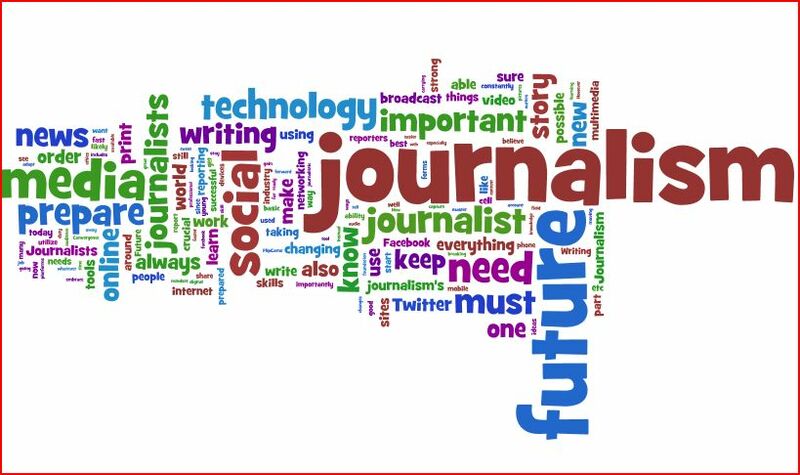 How can high school students become better media consumers?As a former newspaper writer currently seeking my degree in secondary education, I've narrowed in on topics relating to high school journalism. I learned much about this topic as a high school journalist and in classes for my BA in journalism, but want to take a new look at the topic through the lens of an administrator or teacher. How do newspaper advisers tackle censorship in high school publications? A good high school media adviser cherishes the foundations of media, freedom and the role of media as a watch dog. Any study I have done on the topic were from the viewpoint of a high school journalist, in favor of limited censorship, or as a college student also biased to lifting limitations. Before embarking in a career path as a newspaper advisor, I want to explore the reasons why censorship is sometimes good, with an open mind to my previous biases. I found an article about the repercussions an adviser felt who allowed her students to publish an article about homosexuality on Lexis Nexis to come up with this subject. I found several other articles about censorship case studies. The interview in an upcoming paper should be especially enlightening to this topic. I am really interested in learning about how advisers toe the line between defending parent wishes and administrator fears between their students' freedom of speech. I brainstormed several other questions following Ballenger's lead. Do certain United States locations experience more or less censorship in their schools? What is the history of censorship in high schools? What are the laws relating to high school media and the rights of high school journalists? The next topic I explored was high school educational response to media stereotypes. Again, as a student, I encountered the subject in several classes, but am wondering why administrators and teachers do not develop more lesson plans and educational opportunities to educate students about how to be intelligent media consumers. For instance, a lesson about how magazines take real woman and "Photoshop" their images into an impossible ideal. This subject seems more difficult to research in traditional educational databases, but I did find a few articles that would be helpful on Ebsco. A Google scholarly search led me to an article about mass media and girls' weight concerns. Several articles on those lines exist, but I would need to find more to back up educators' response. Other questions I thought of: What is the impact on high school boys? Do high school publications also enforce negative images and stereotypes? How can high school students become better media consumers?